As an employee, it is important for you to have good knowledge of your rights and privileges. You must ensure that you are not being shortchanged in whatever form by your employer. 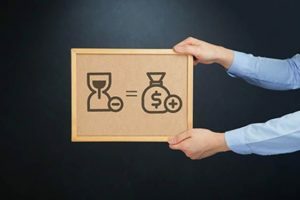 If you are not being paid adequately for your work hours including overtime by your employer as instructed in the Fair Labor Standards Act (FLSA), then do well to seek legal counsel on what to do and how to go about it. A good attorney will give you the legal counsel you need, guidance and representation necessary for you to get the compensation and payment you deserve. If your attorney is someone affiliated with a powerful legal firm, then it is an added advantage for you as you would have more convenient access to relevant documents that will effectively build your case and ensure your victory.Rawa Law Group is one of the finest legal establishments in California; we are your sure hub for exquisite legal representation. We have delivered outstanding legal services to many grateful claimants here in West Covina. Our Wage and Hour attorneys are proficient and well experienced so you can be assured that we’ve got you covered. We offer a non-obligatory service which means that we carry on with your case from scratch without demanding for upfront payments. We will only be paid after you have gotten your desired results. We are waiting to hear from you. Please contact us via the address below!